The Ramadan Night Market is a haven for shoppers with ten exciting days of entertainment and incredible offers just in time to help celebrate Eid. Bigger, better and more exciting than ever, the 2017 Ramadan Night Market will feature a huge array of products and brands from around the region, including clothing, jewellery, accessories, health, beauty and personal care products, perfumes, food items, home appliances, electronics, toys, baby items, handicrafts, souvenirs, collectibles, travel and tourism options, even a handwriting analysis to reveal personality as well as complimentary medical check-ups to test overall health and fitness. Once again, the Kid’s Play Area will be fully equipped to entertain children with activities such as face painting, sand art, bouncy castles, nail art, a mini basketball court, wall climbing, a kiddie train, a merry-go-round ride and Playstations. There will also be an array of delicious food and beverage options and a grand Arabic themed majlis with an exclusive henna painting section for ladies. 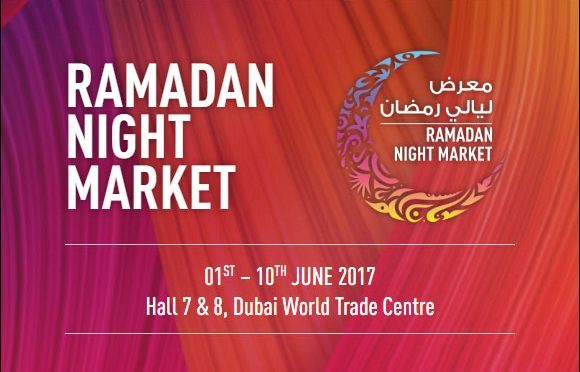 With the chance to win daily prizes by simply visiting the Ramadan Night Market, this incredible event is one not to be missed.